Simply enter the text you would like engraved on the back of your calculators in the box below and your order will permanently and professionally marked with our state of the art engraving equipment. There is no set-up fee and we aim to still deliver your order within 24 hours! Engrave your Class set for only £20 per set! 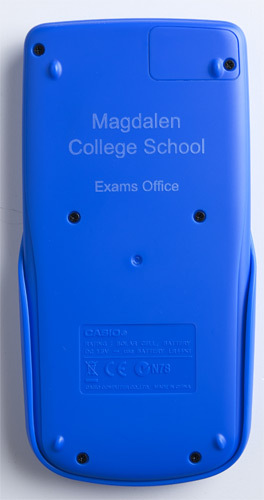 Simply enter the text you would like engraved on the back of your calculators in your class set and we will engrave it for the special price of just £20!